LOS ANGELES, Calif. (December 7, 2016) – Major League Soccer’s (MLS) Los Angeles Football Club (LAFC) and United Soccer League’s (USL) Orange County Blues Football Club today announced a multi-year partnership that will expand player development and create a pipeline that will foster top-class players competing at both the MLS and USL levels. With LAFC set to take the pitch in 2018, the partnership will provide LAFC the ability to loan players to Orange County as soon as 2017 and provide fans the opportunity to see some of LAFC’s future MLS stars on display in Orange County. LAFC players on loan to Orange County will be provided with a unique opportunity to develop in US Soccer’s fastest-growing and most dynamic professional league while Orange County soccer players will be provided with a clear pathway to reach the highest level of American soccer with LAFC. “We are incredibly excited about this partnership, which will contribute significantly towards our goals of building a competitive roster in 2018 and growing the game here in Southern California. 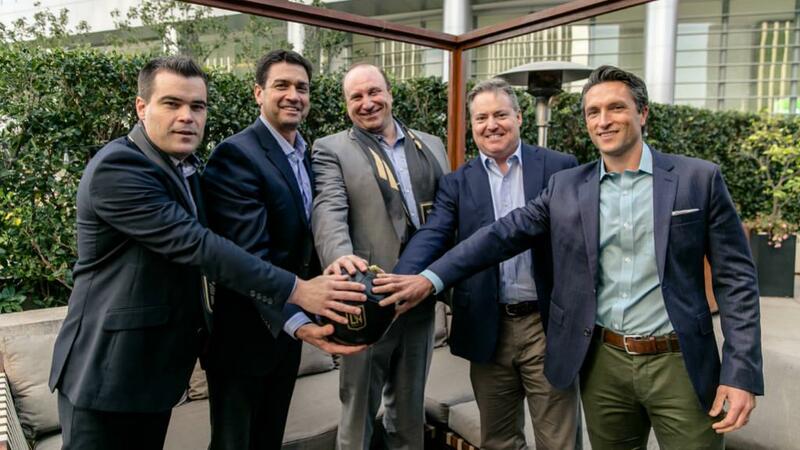 In the OC Blues, we have a fantastic partner with an owner and staff who closely align with our vision to bring world-class professional soccer to Southern California,” said LAFC Executive VP of Soccer Operations John Thorrington. The partnership with LAFC is just the first of many announcements that will be coming out of Orange County in the weeks to come. Since taking ownership of the club in August 2016, Orange County’s new owner and team president, James Keston is taking dramatic steps to transform the club into a world-class professional soccer organization. Keston’s first step towards accomplishing this goal is selecting a state-of-the-art venue for the club. The club is also undertaking a complete rebranding process that will see the team formerly known as the Blues take on a new identity built on significant fan input. LAFC’s Banc of California stadium continues to make strides in 2016 and after several weeks of excavation and digging on its construction site, LAFC closes out another landmark year with a foundational concrete pour happening later this week. Earlier this year LAFC scored several tremendous victories for the Club, its fans and the people of Los Angeles including complete demolition of the Sports Arena, kicking off a historic groundbreaking ceremony with Club owners and supporters, announcing the official stadium naming rights, securing unanimous approval from the Los Angeles City Council on its Final Environmental Impact Report and proudly unveiling the new crest and team colors. To become an Orange County Founding Member click here. To learn more about LAFC or to become an LAFC Original Member visit LAFC.com. The Orange County Blues FC is Orange County’s Professional Soccer Team. The club was one of 12 founding members of the new United Soccer League (USL) in its inaugural 2011 season. The Orange County Blues were the 2015 Western Conference Regular Season Champions and have reached the Western Conference semifinals of the USL Playoffs in back-to-back seasons. The club’s brand-new owner, James Keston, is the Chief Investment Officer of LARO Properties, and will actively oversee all operations of the USL club in Orange County. Keston is dedicated to transforming the club into a world-class professional soccer organization that focuses on the fans, players and youth clubs of Orange County. Keston is currently working on a complete rebranding of the team with a new name, colors, and crest driven by significant fan input. The Los Angeles Football Club (LAFC) is the newest MLS soccer club serving the greater Los Angeles area. Its ownership group is comprised of local leaders and innovators of industry with intellectual capital, financial prowess, operations expertise and success in the fields of entertainment, sports, technology, and media. The LAFC ownership group is dedicated to building a world-class soccer club that represents the diversity of Los Angeles and is committed to delivering an unrivaled experience for fans. The home of the Club will be the Banc of California Stadium, the first open-air stadium built in Los Angeles since 1962 and boasts a 22,000-seat capacity.